The Promise Zone Research Connection Takes First Place! On Friday April 27, 2018, Penn’s Community Scholars Program had its Spring Symposium that brought together leaders of academic and philanthropic communities to serve on the panel for the Scholar’s Pitch Competition. Dennis Boroughs (Baring Street Community) and Amanda Hallock (Promise Zone VISTA) represented the Promise Zone Research Connection (PZRC). After deliberation, the panel gave first place honors to the PZRC which includes a bit of funding to get the group started! Below we’ve written up the speech for those who couldn’t make it. DB: Good morning my name is Dennis and this is Amanda. We are representatives of the Promise Zone Research Connection, a group of 15 community members, researchers, and city representatives who have been meeting for the past two years to determine how the research community can ensure research positively impacts residents of the West Philadelphia Promise Zone. 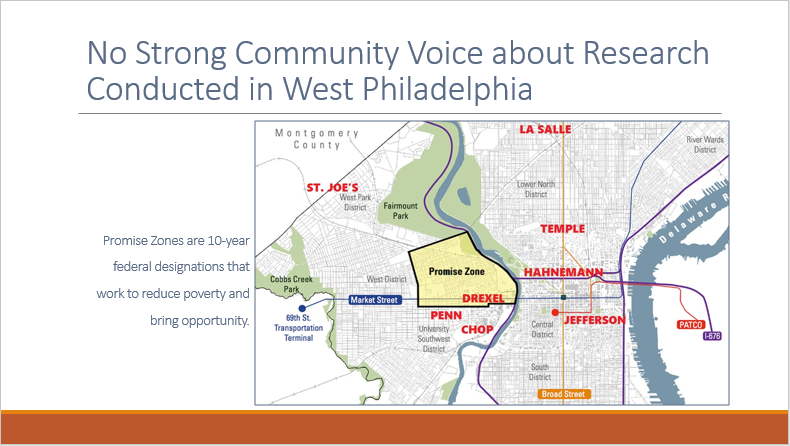 Today we will tell you why the West Philadelphia Promise Zone needs a research review board. DB: I lived in this community since the late 1960s. This area used to be a quiet family community but now it has become a subject of somebody else’s report. I am not the only person who feels this way. Many of my neighbors have said that researchers seem to come into their neighborhoods, collect their data, and leave without ever being heard from again. It’s not always clear why research is being done or who it’s being done to benefit, and the community feels like they’re being taken advantage of. AH: If you’re wondering what the Promise Zone is, it is a federal designation started by the Obama administration in 2014 to reduce poverty and bring opportunity to the area. This area has been so researched but there is not strong community voice to regulate it. Institutional Review Boards like the ones at Penn, Drexel, CHOP, and the other institutions you see here work diligently to ensure that the research they review is ethical. While they are required to have at least one community member on the board, that is not sufficient to fully represent the diverse needs, interests, and experiences that residents in the Promise Zone have. 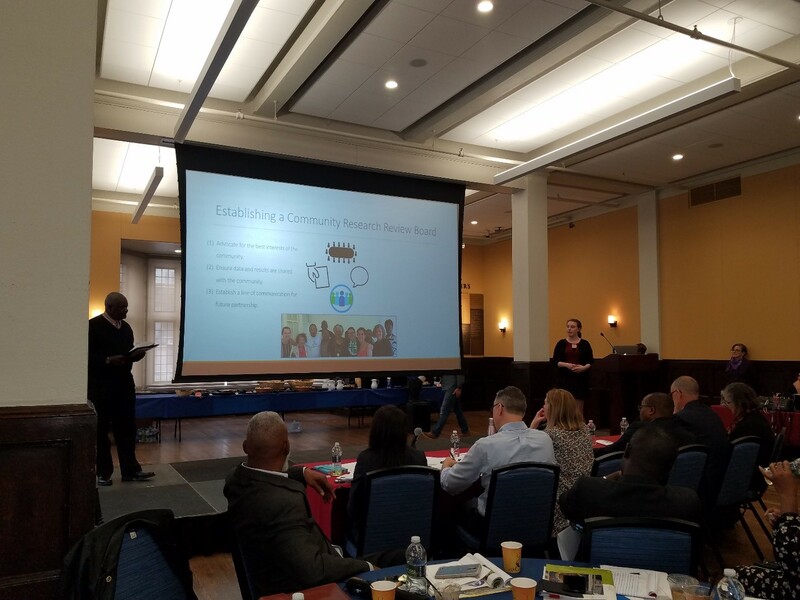 DB: The Promise Zone Research Connection is establishing a community research review board comprised of trained community members who review research proposals. We believe a community research review board would be able to represent the community’s interests, ensure researchers share the data they collect, and establish a line of communication with institutions for the future. 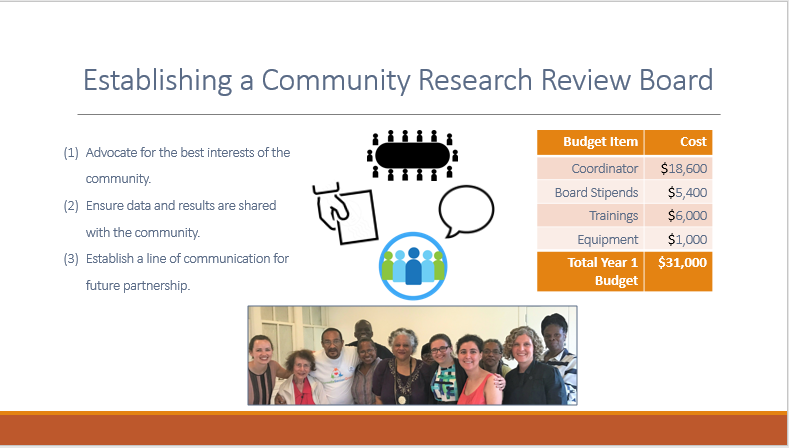 AH: The community research review board especially benefits researchers and research institutions by building a base of trained and certified research participants and surveyors from the community and offering letters of support for grant proposals that involve a research component. Funders notice applicants who have community support for the work they intend to do. 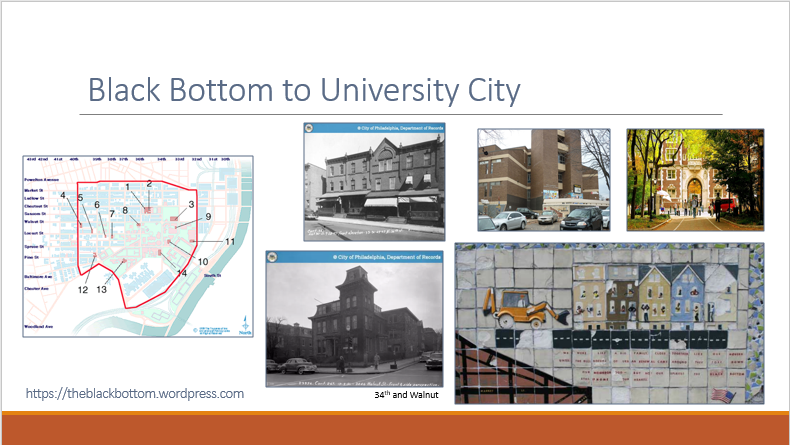 DB: We know something like this is possible and that it can work because there are already models of community research review boards across the country including Los Angeles, Pittsburgh, and New York City. Working with the Promise Zone designation, we can use our relationships with Drexel, Penn, CHOP, and more to get assistance on the evaluation of this initiative as we hopefully look towards expansion of our target area or even replication. AH: In the board’s first months, we would focus on hiring a community coordinator to liaise between the community and the board, partnering with IRBs, and recruiting and training board members. Then the board would begin regularly reviewing research projects and coordinating 2-3 trainings about community-based research. We expect total first year costs to be around $31,000 to prove this can be a successful model. We have heard that some of the other review boards Dennis mentioned have fallen apart because they were only funded by one institution. We hope to make sure this model is sustainable and that we have an independent voice by showing our value to researchers through recruitment, review, and dissemination so they may start writing our services into their grant applications. 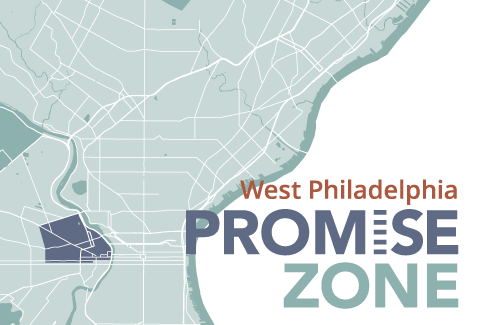 DB: The members of our Promise Zone Research Connection group are committed to improving the way research is conducted in the West Philadelphia Promise Zone, and we hope that you will partner with us in fulfilling that mission. With your support, we can make sure that research does not just take from the West Philadelphia community, but that it gives back, and that the voices of community members are truly heard. Thank you.